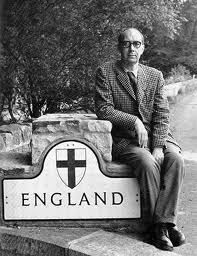 I admired Philip Larkin first as a poet, then as an obstinately reactionary jazz critic, then as a writer of letters. The first two roles have been examined many times, but I want to say something about his correspondence: thoughts provoked by a new collection of letters to Monica Jones, the woman he had a relationship with for over thirty years. The phrase “had a relationship” is murky, but their encounters on the page and off defy easy classification. Larkin could be exceedingly gracious in his correspondence if he chose to: the scholar William McBrien (an authority on both Stevie Smith and Cole Porter) told me that the poet was extremely courteous and modest in their exchanges. But more often Larkin is writing to people he has known for decades, and the letters are difficult to read (even when hilarious) because he comes through so completely as someone who knows how flawed he is while hugging his flaws to himself proudly. He can’t help himself, but who can? Selfish and complaining, irritable and ungenerous, he also can turn the harsh light on himself and writes of his horror at what he perceives. 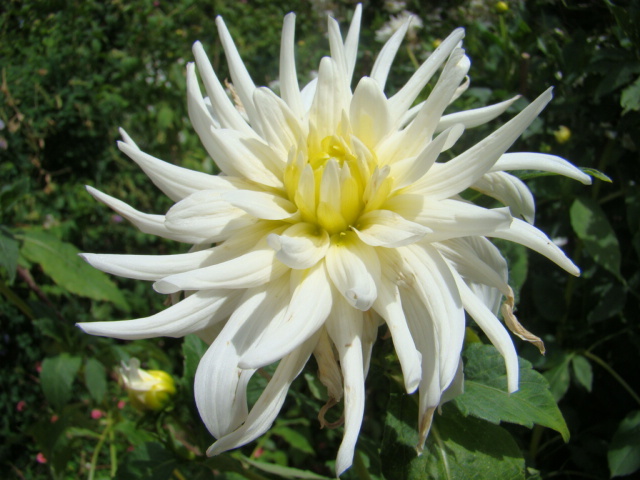 At such times I forgave him his meanness of spirit. But as soon as that moment passed, the next letter returned him to his familiar self, disappointed in almost everything around him. So his letters are often appalling, often irresistible character studies. 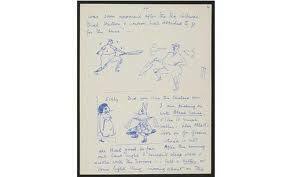 It would have taken a great novelist to delineate him without caricature. Larkin experienced hot jazz as a religious revelation and never faltered in his devotion to the Truth as he saw it. For him, the acme of Western civilization was the recording sessions of the Rhythmakers in 1933 — featuring Henry “Red” Allen and Pee Wee Russell. The pianist Larry Eanet once wrote that the first jazz records he heard, the Louis Armstrong – Earl Hines sessions of 1928, hit him “like Cupid’s arrow,” and this was Larkin’s experience also. The Rhythmakers records were the standard by which everything, live or on record, had to be judged . . . and as a result, almost everything Larkin ever heard after his first ecstasy, with the exception of Sidney Bechet, seemed flawed. 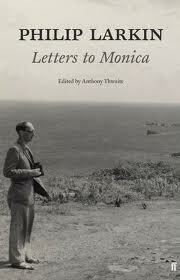 Larkin’s letters to Monica are sometimes claustrophobic studies in bewilderment and barely-suppressed rage. We observe Larkin being selfish on one page, sometimes apologizing for it two pages later. That he and Monica kept up a running lovers’ narrative of themselves as two rabbits is surprisingly charming but, even with that as counterpoint I could read only a dozen pages at a time before I needed to put the book down, if not away. I also understand more than ever the wisdom of some public figures who refuse to have their private papers made accessible to “scholars” after their deaths. I think Larkin would have been enraged to know that readers were poking into his letters: in fact, he supervised the destruction of his diaries. But this post is about Larkin’s devotion to jazz — and his letters are often lifted up from his annoyance, his sulks, his self-absorption, by his love for this transfiguring music. I am leaving out the passage where Larkin is furious because an acquaintance who has been to the States has brought him Volume Two of a Bechet Blue Note collection rather than Volume One — you’ll have to buy the book to read his small yet explosive reaction. 23 November 1950 (Belfast, p. 23) . . . . I looked round the shops, buying a copy of Wild Bill Davison’s Tishomingo Blues that so insinuatingly wound itself into all last summer; but a sense of having been rebuffed remains with me, perhaps because the cow in the record shop wouldn’t let me — or didn’t want to let me — look through a pile of Jazz Collector & Tempo records she had just unpacked — cow of Hell! I have never seen any before, & Belfast is the last place I expected to find them: I’m sure they will never sell them. They are the Real McKoy, fantastic private dubbings of entirely irrevocable records: the Malone Reprint Society in terms of jazz . . . .
1 November 1951 (Belfast, 66-67) . . . . played my new records — six unsuspected sides by Muggsy Spanier, Pee Wee Russell et al. discovered by me in Tempo lists, 6/6 each. I ordered them blind, & played them trembling, fearing lest they should be a fearful let down, but they weren’t: not a dud among them: six sides of aggressive attacking jazz, touching greatness here & there, but what John Hewitt would call ‘good bread’. They date from Feb & March 1945: already ‘history’, really — wartime. My great prayer is now to have scooped Kingsley [Amis] over them, wch I’m almost sure to have done. 25 January 1957 (Hull, p. 213) The Condon evening was too strange to describe fully — there were two ‘houses’, each an hour [Humphrey Lyttelton] an hour Condon — or supposedly. The first was almost empty: the second almost full. Condon was a little neurotic-lipped man, like a jockey retired by age & drink, with a drunkard’s careful movements. W. Bill was a fat fiftyish Jack-Oakie College-Humor man, who chewed gum & clowned about. I couldn’t adjust myself to the thought that these were friends of Bix, and that WB had been driving the car in 1932 when Teschmacher was killed. They played fairly routine stuff, not as good as their records, though WB did some of his notorious tricks of tone. I was in the front row: Condon sat playing his guitar about 6′ from my head. The Lyttelton group was as usual, Johnny Picard blowing away manfully & very well. But it was all very odd. A lone shop girl sat beside me, who’d never heard a jazz concert before, & never heard of Condon. I admired her resolution . . . .
7 May 1959 (Hull, p. 249) I was saddened to hear of the death of Bechet tonight: of course, he hadn’t produced much lately — living among the French had brought out his Creole side musically — but he was a wonderful player in his day, as exemplified by the 2 choruses of Nobody Knows the Way I Feel This Mornin’ they played on Radio Newsreel tonight. At least one could understand his music: not like this modern stuff . . . cacophony (mumble mumble), deliberate atonalism (mumble mumble) etc etc. Of course one wanted to take him back to New York and put him behind a good blues singer & in front of a good guitarist for a session or two, but I suppose we shall have to be content with what there is. I’ve always wanted to hear a 12″ Summertime (c. 1940) on which the musicians ‘burst into spontaneous applause’ at the end of the record . . . .
19 February 1969 (Hull, p. 397) My record player has broken & been taken away, & life is very narrow. Did you see that Pee Wee Russell is dead? Larkin understood so well that life without jazz was indeed very narrow.